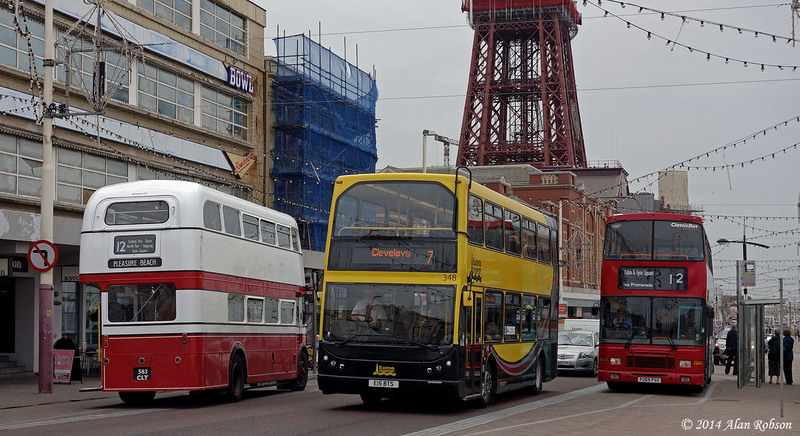 Blackpool Transport Dennis Trident 313 entered service today with a colourful new overall advert for 'The Sands Venue', which is located opposite the Tower tram stop. 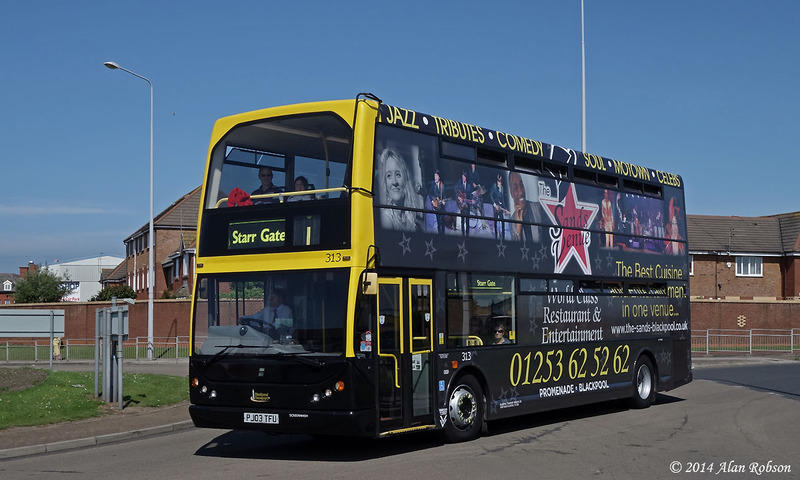 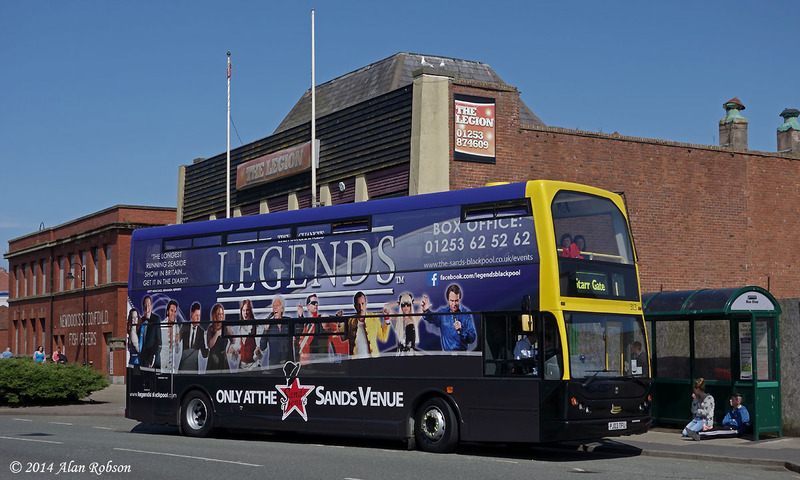 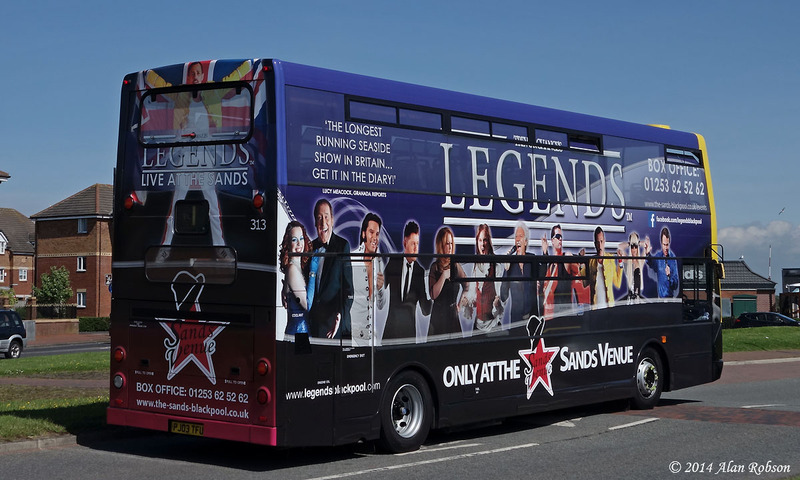 The vinyl wrap advertises the Legends show at the Sands on the offside and rear of the bus, and a general advert for the Sands restaurant and entertainment venue on the nearside. 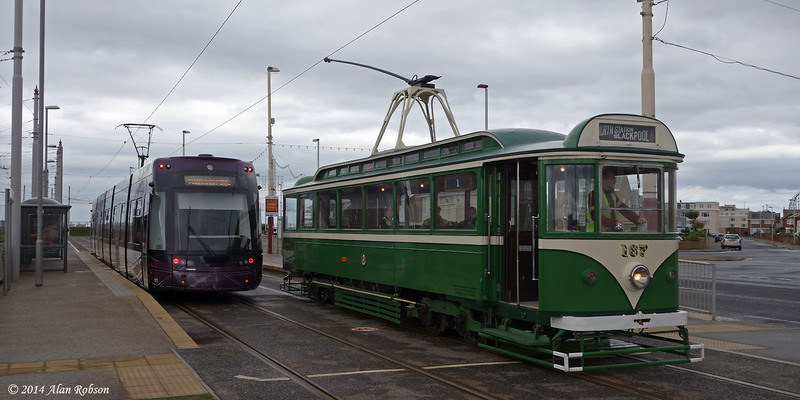 The majority of the Heritage Tram fleet have departed from their temporary home at Starr Gate and returned to Rigby Road depot. 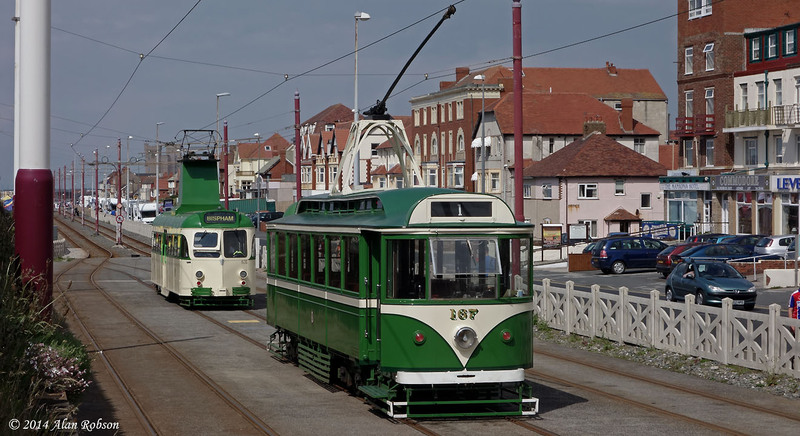 The morning of the 29th May saw nine of the heritage trams depart from Starr Gate depot beginning at 1030. 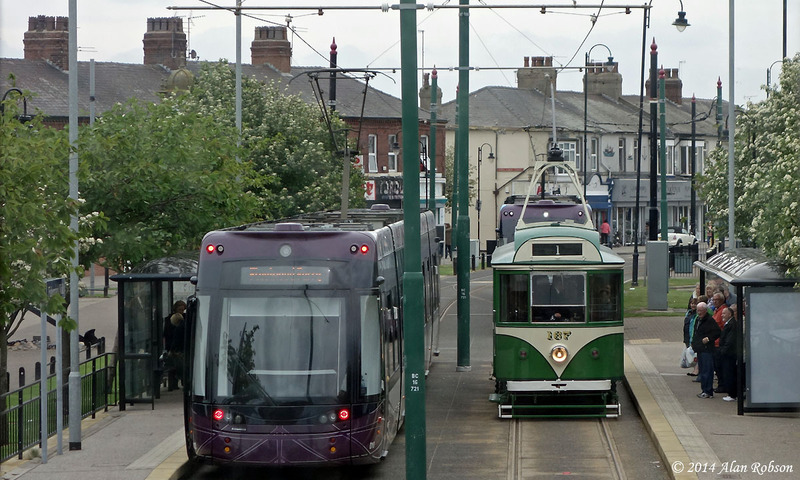 The trams left from Starr Gate depot in the following order, 600, 717, 147, 230, 272+T2, 631, 706, the Western Train & Bolton 66. 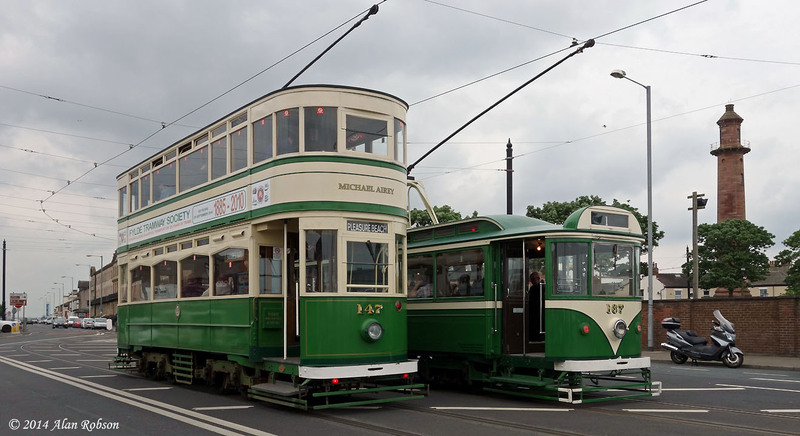 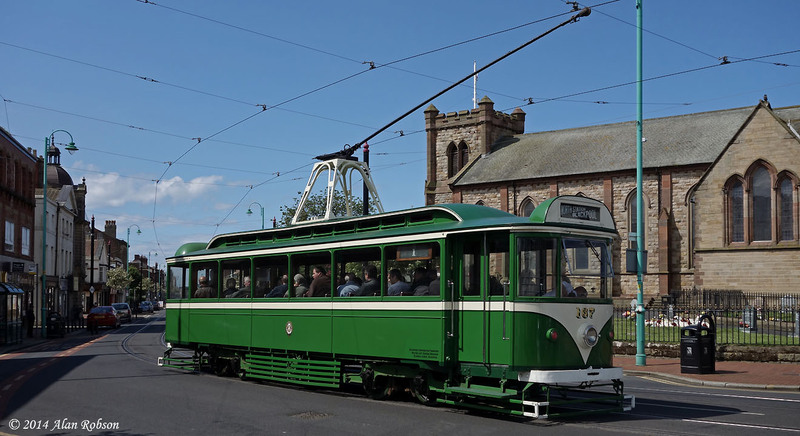 Heritage trams still remaining at Starr Gate are Boat 227 and Pantograph 167. 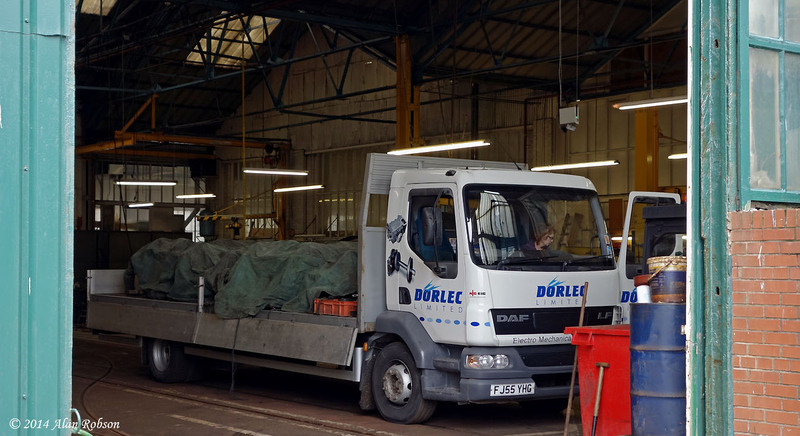 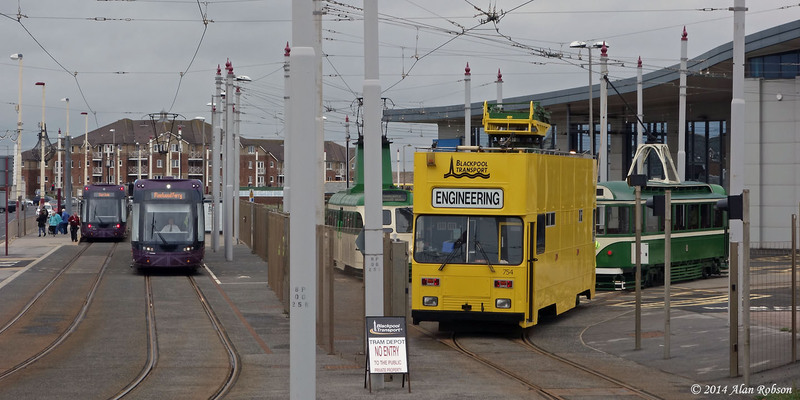 While all these tram moves were taking place, the refurbished bogies off Box Car 40 were delivered to the fitting shop at Rigby Road depot. 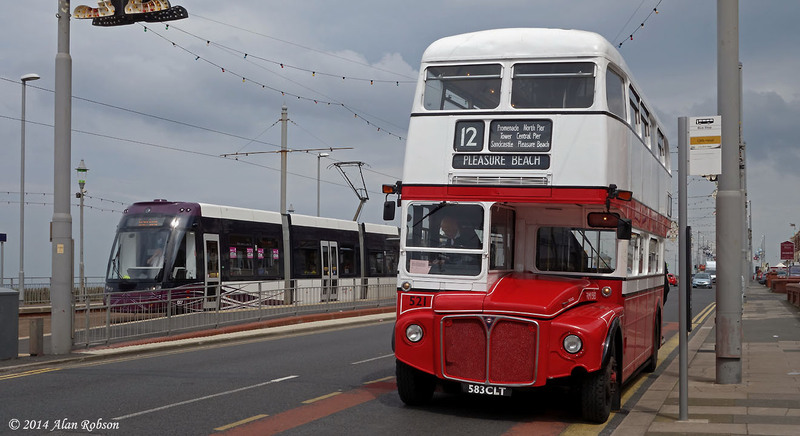 Former Blackpool Routemaster 521 (583CLT) entered passenger service on the Oakwood Travel operated Seafront 12 route today. 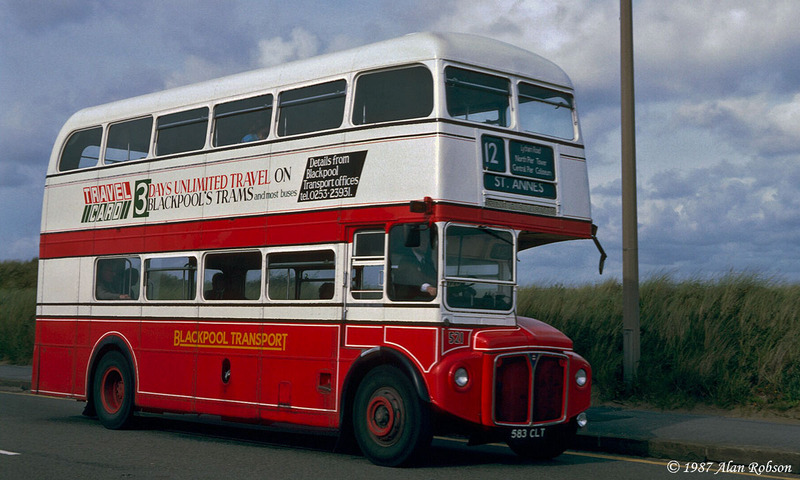 521 (formerly RM1583 with LT) has been in preservation with the Lancastrian Transport Trust since 2003, and was one of a batch of six ex London Transport AEC Routemasters that were purchased by Blackpool Transport in 1986 for use on their crew operated routes, 521 being the first to enter service. 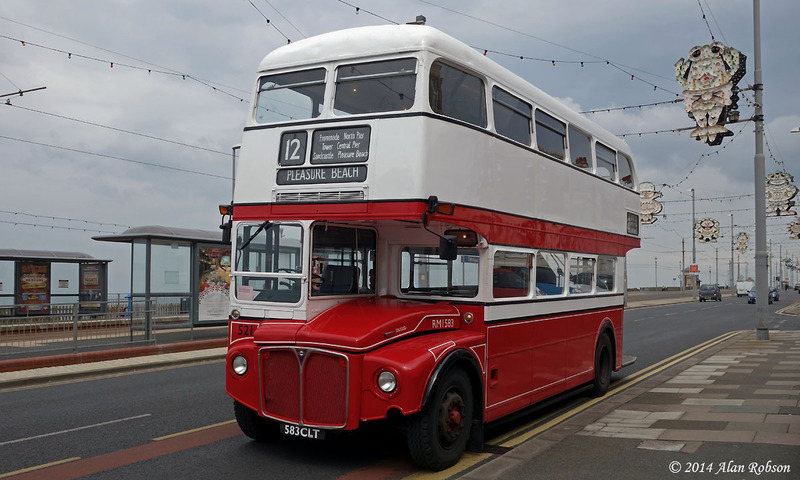 The fleet of Routemasters were used on various routes thoughout Blackpool during the 1980s and 90s, but were all sold off to Reading Mainline in 1997. 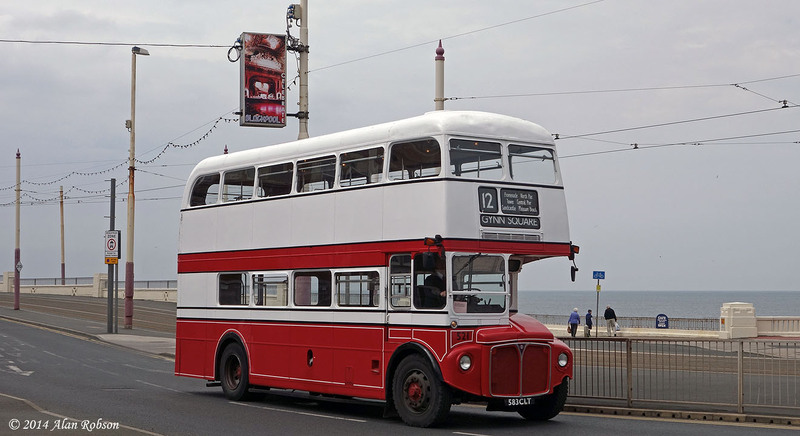 See The Blackpool Routemaster by Paul Turner for a full history of the Routemasters in Blackpool. 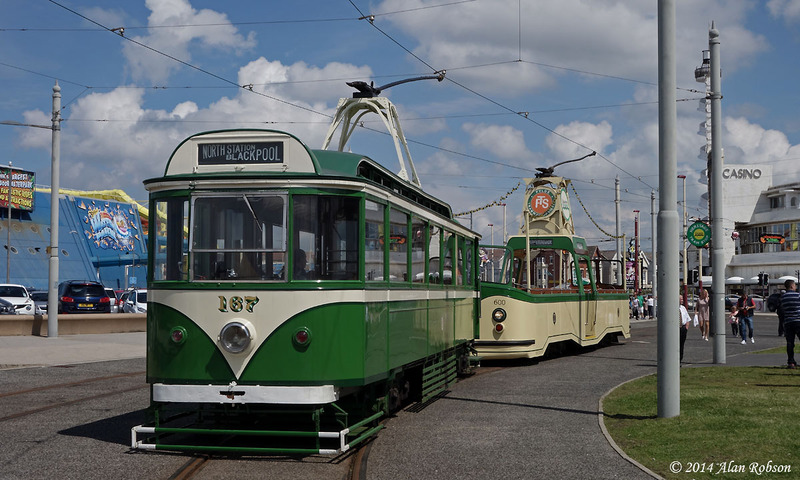 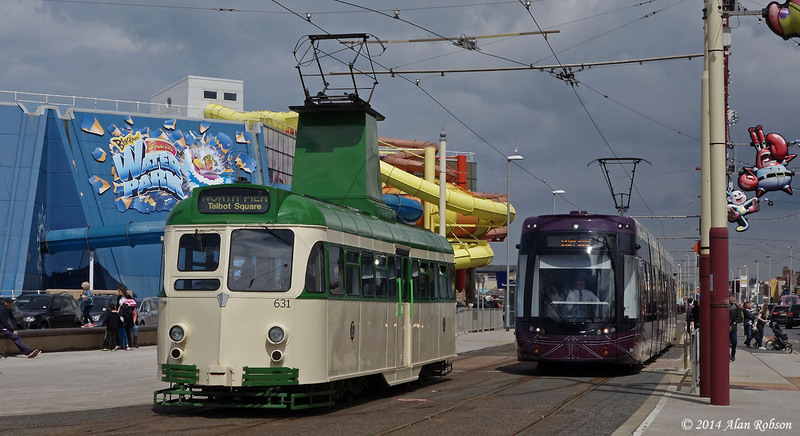 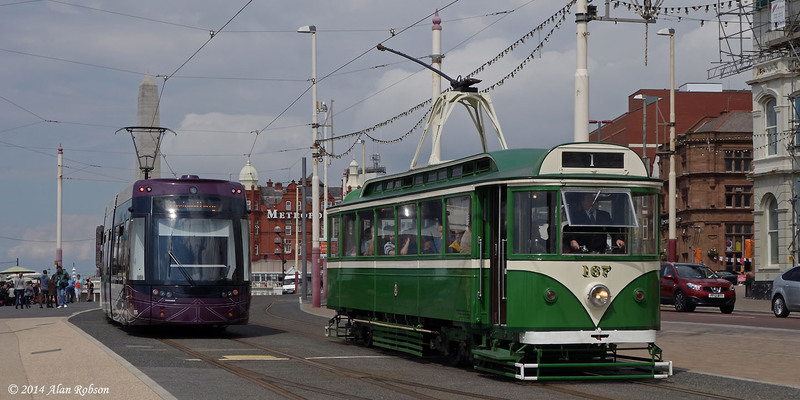 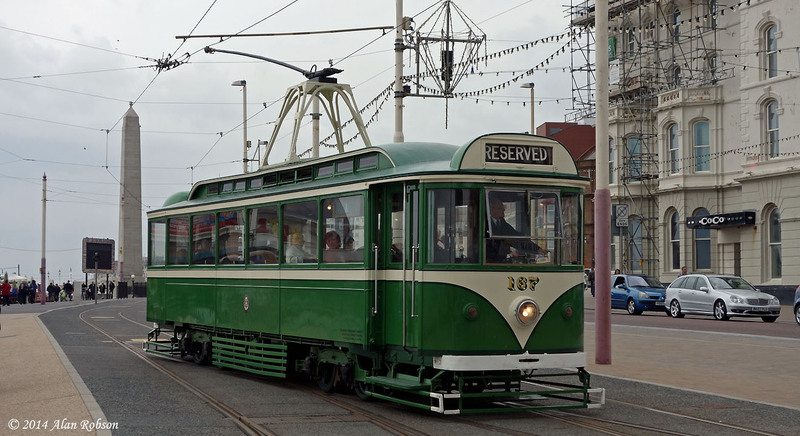 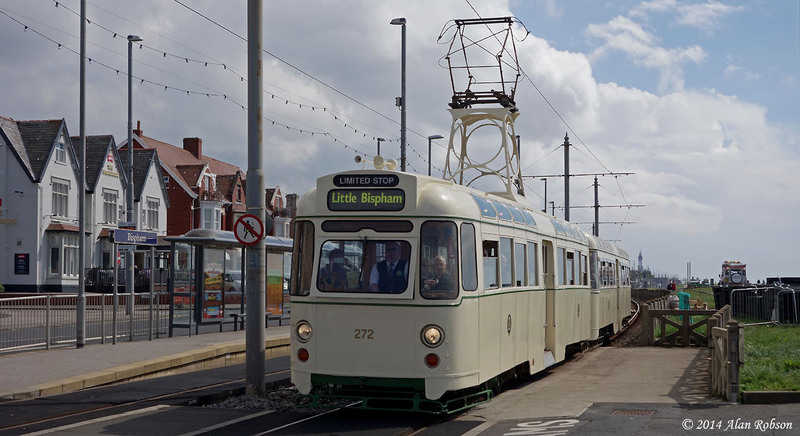 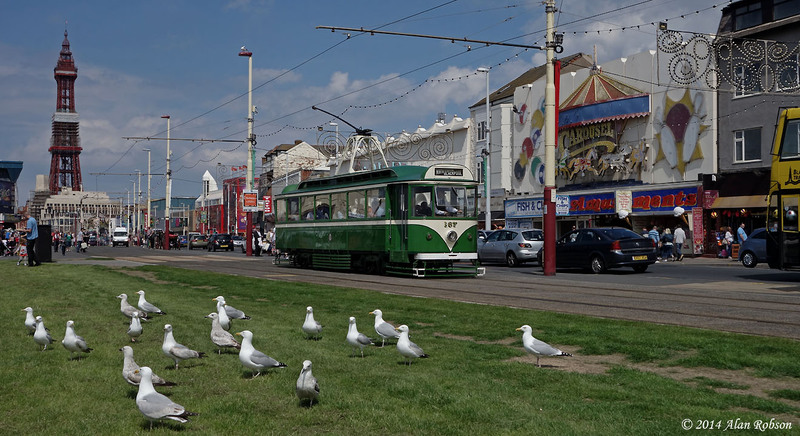 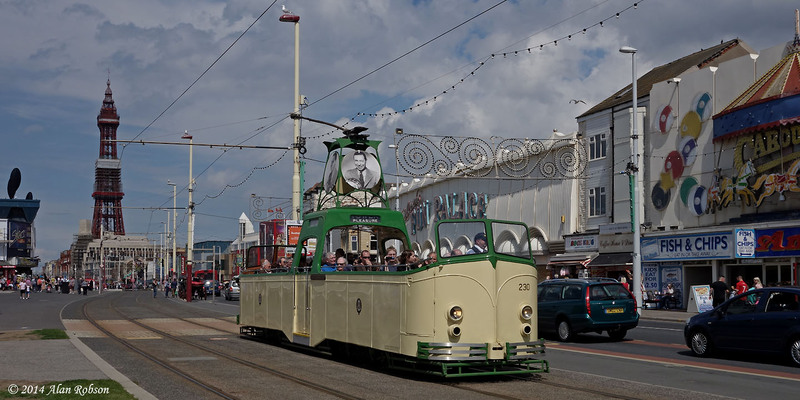 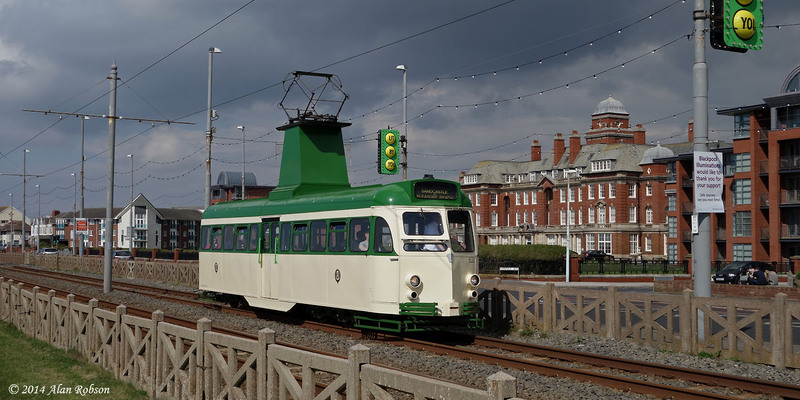 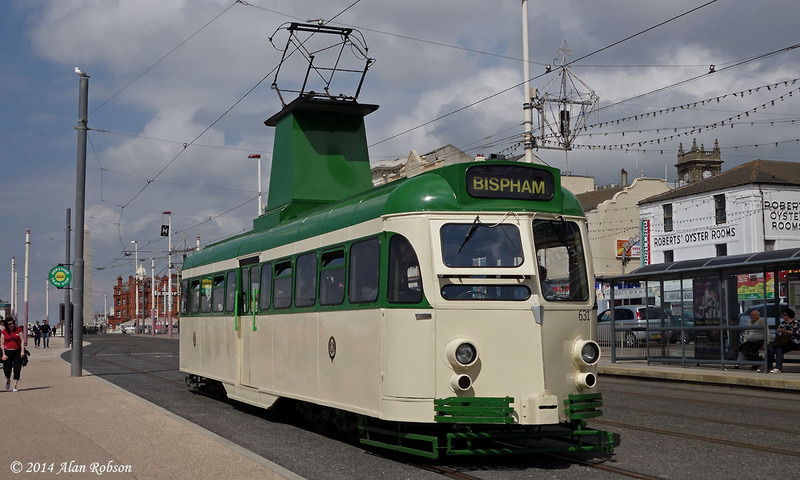 Monday 26th May was the last of three days of Heritage Tour operations in Blackpool. 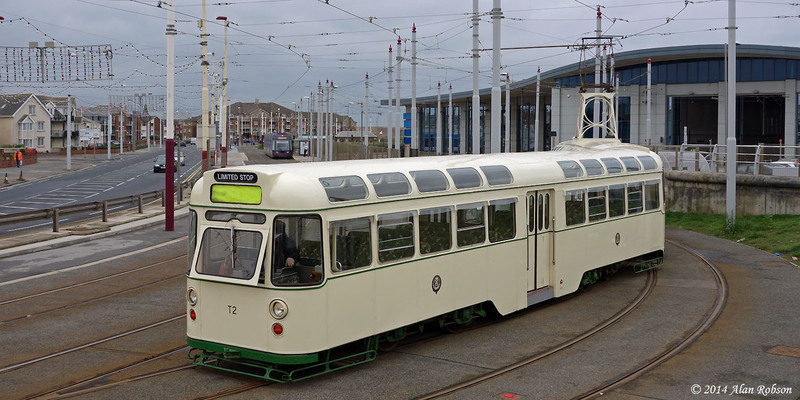 Pantograph Car 167 again featured in the proceedings, the morning tour to Fleetwood being operated by 167 and Boat 600. 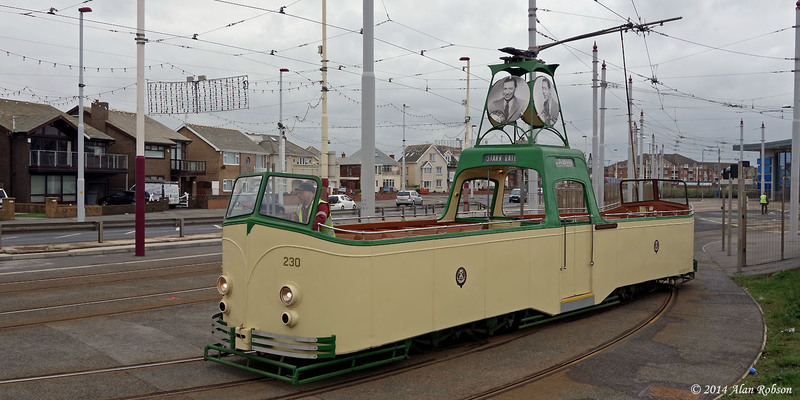 Open Boat 230 was the third car used on the Heritage Tours, and open-top Balloon 706 Princess Alice was brought out later on in the afternoon and used for the early evening Heritage Tour run through to Fleetwood. 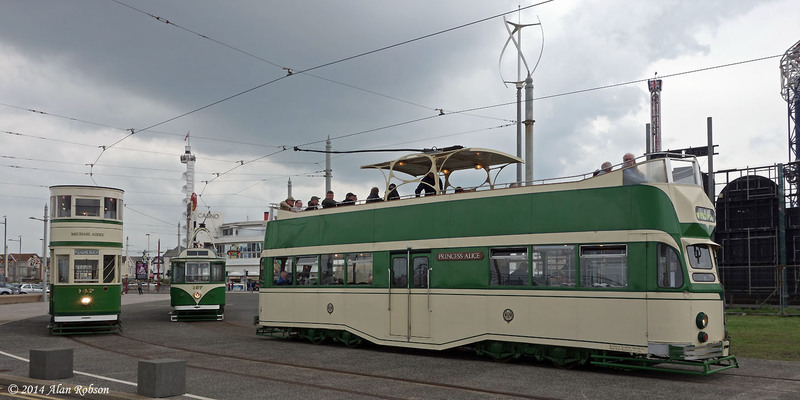 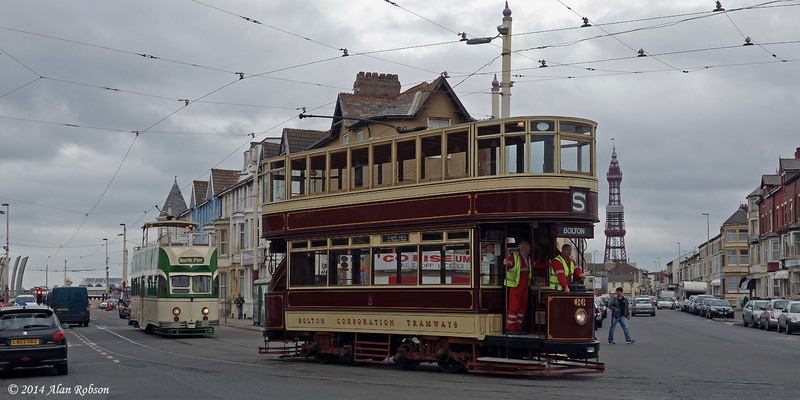 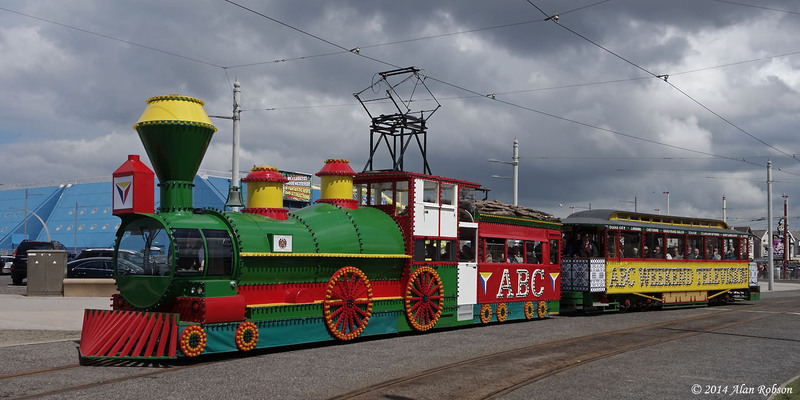 Sunday 25th May's first Heritage Tour was met by a grey, dismal and wet Fleetwood when the morning tour operated by the Western Train arrived in the town. 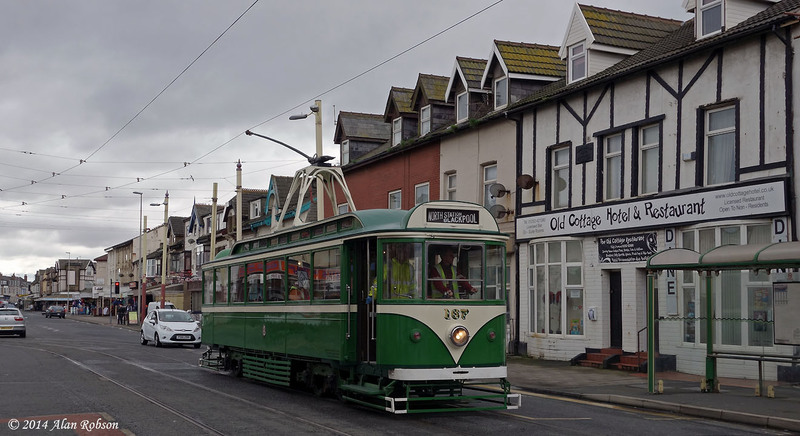 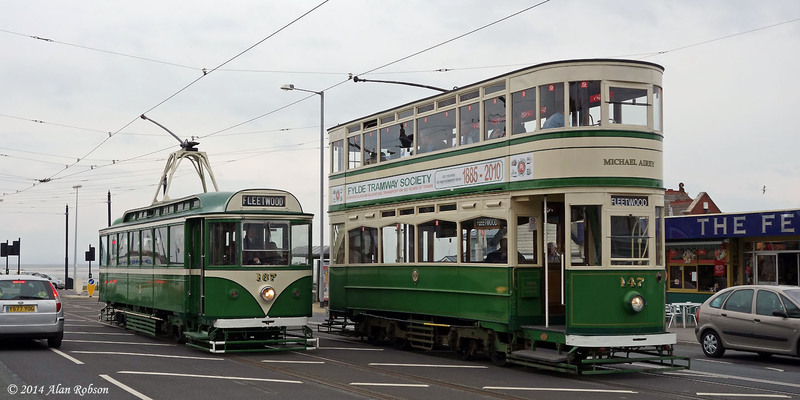 The day also ended the same way in Fleetwood, when Pantograph 167 and Brush 631 had to endure torrential rain on their return run down Lord Street on the way back to Blackpool during the late afternoon Heritage Tour to the port. 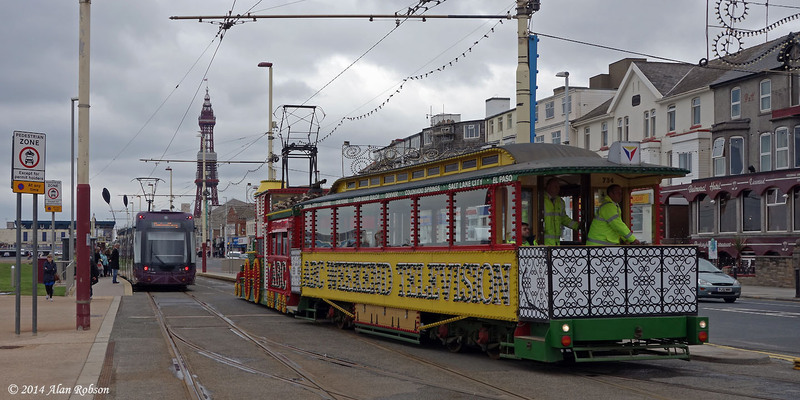 Fortunately in between these extremes the weather was a bit kinder, with the afternoon in Blackpool seeing considerable amounts of sunshine along the Promenade, although just inland from the coast the weather was rather dire. 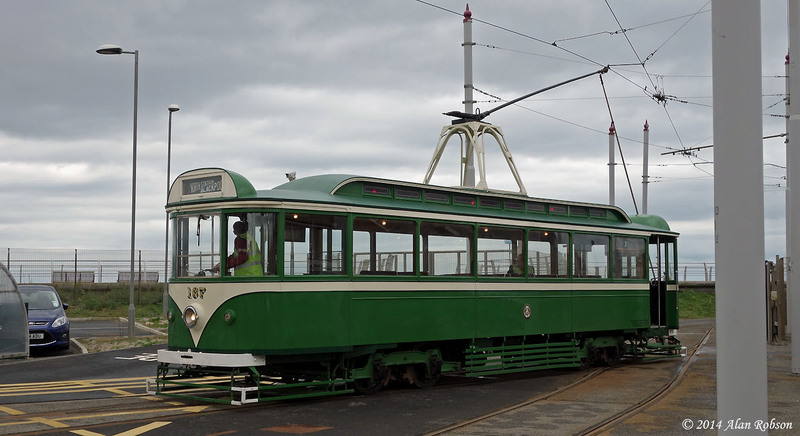 The Heritage Tour output for the day was provided by the Western Train, Pantograph Car 167 and Brush Car 631, with the Western Train being replaced by Twin Set 272+T2 during the afternoon. 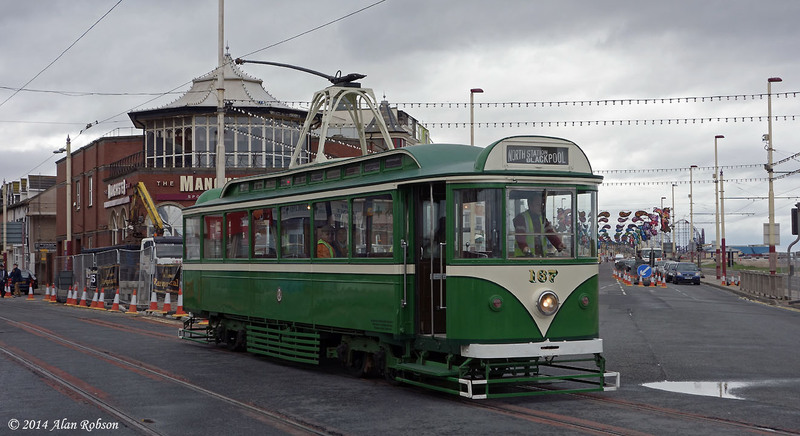 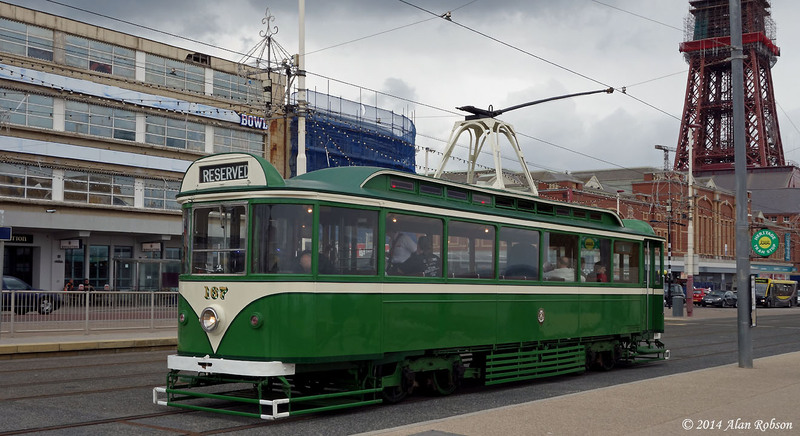 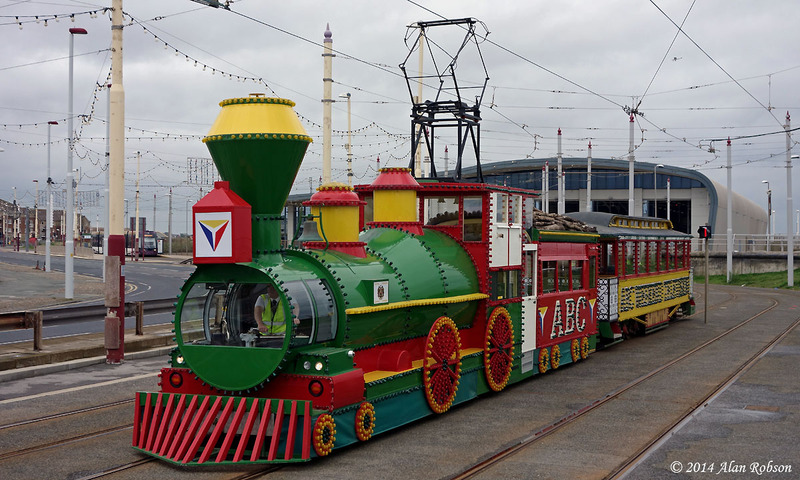 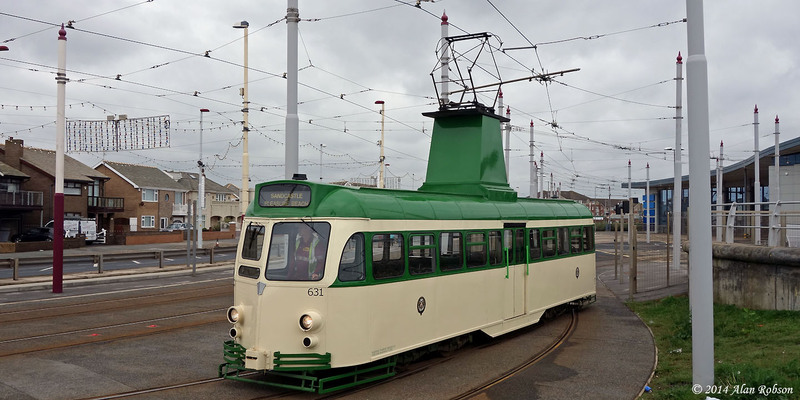 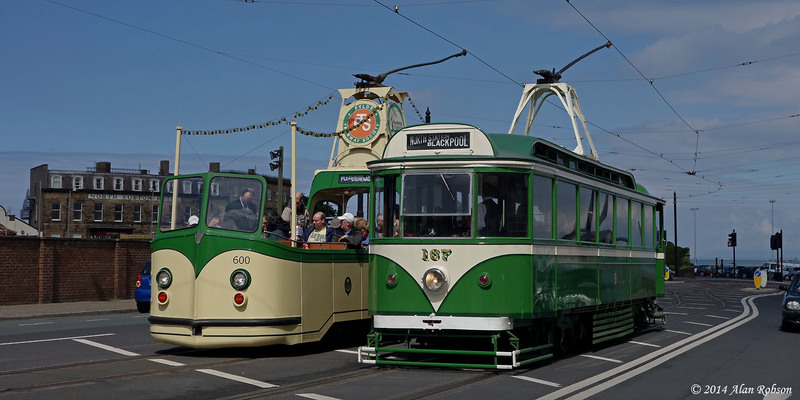 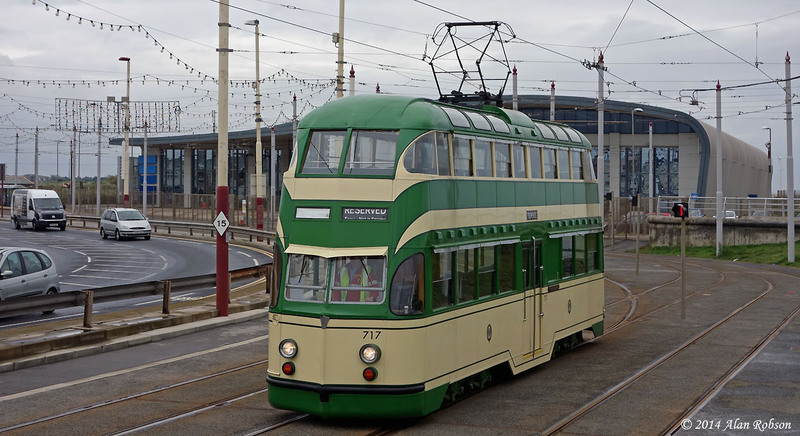 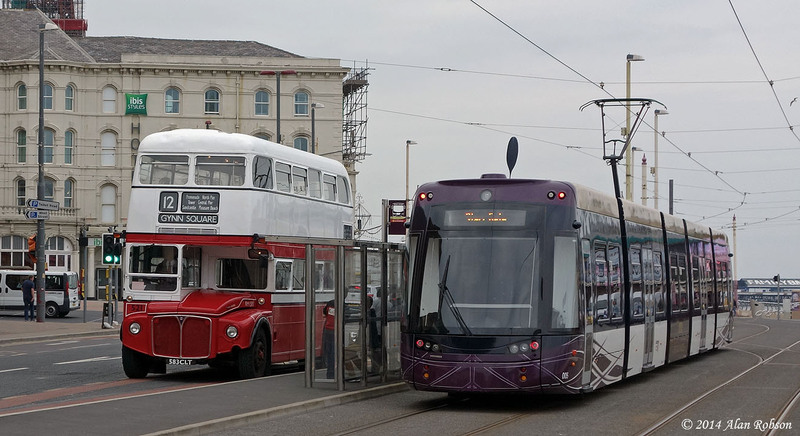 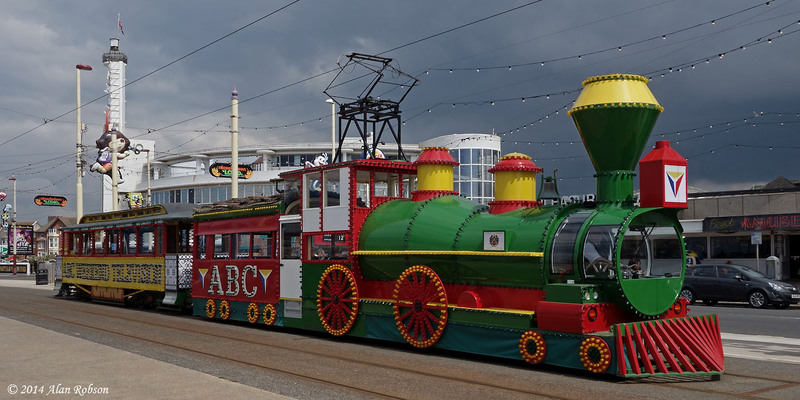 Saturday 24th May saw the start of three days of Heritage Tour operations in Blackpool. 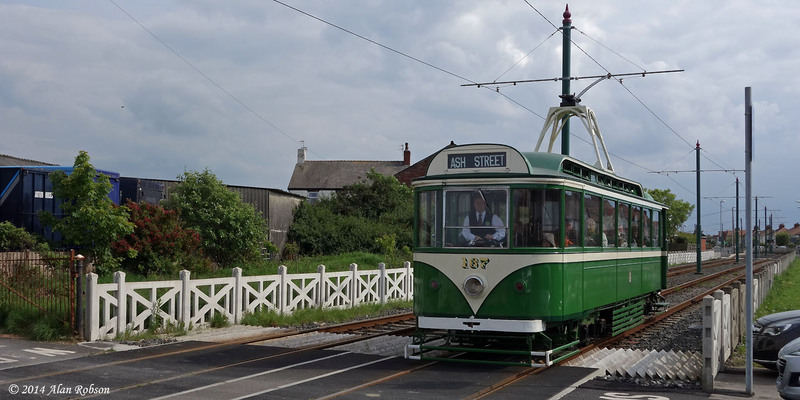 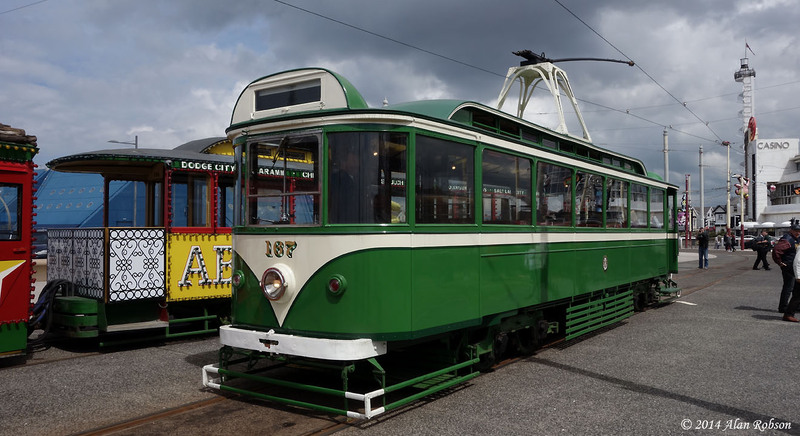 The star of the day was undoubtedly Pantograph Car 167 on loan for the summer season from the National Tramway Museum at Crich. 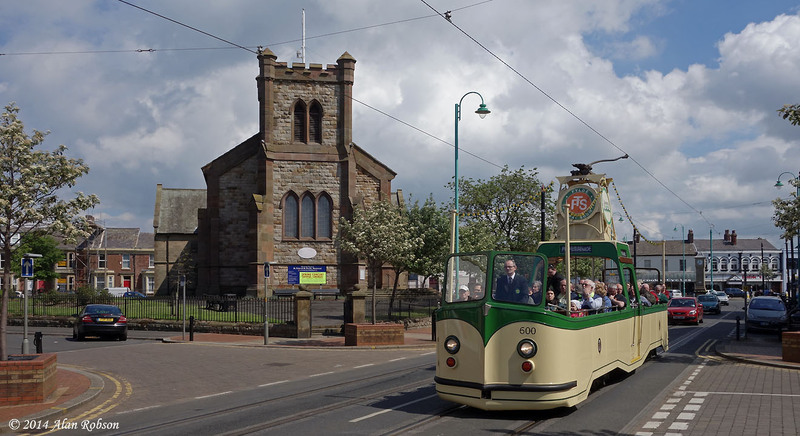 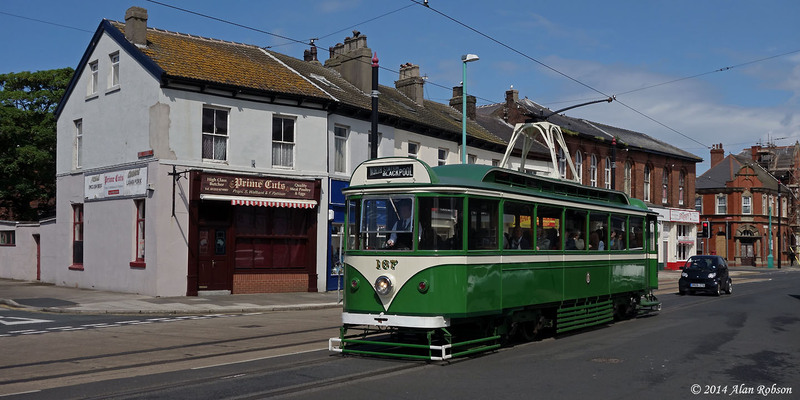 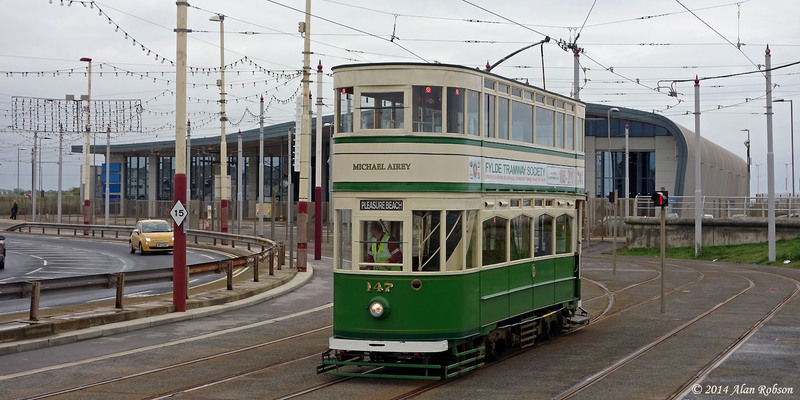 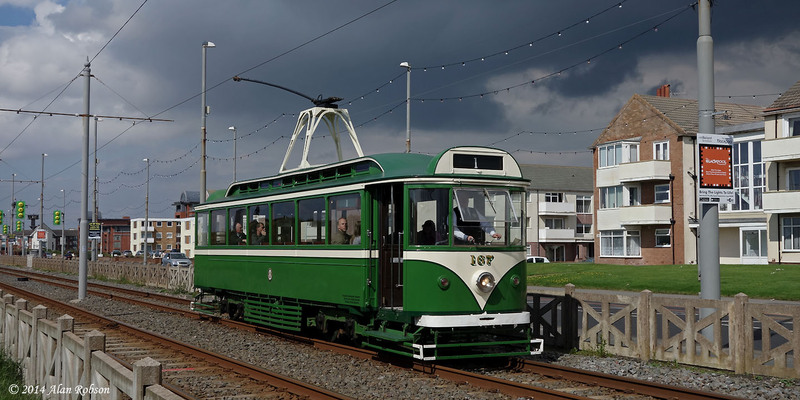 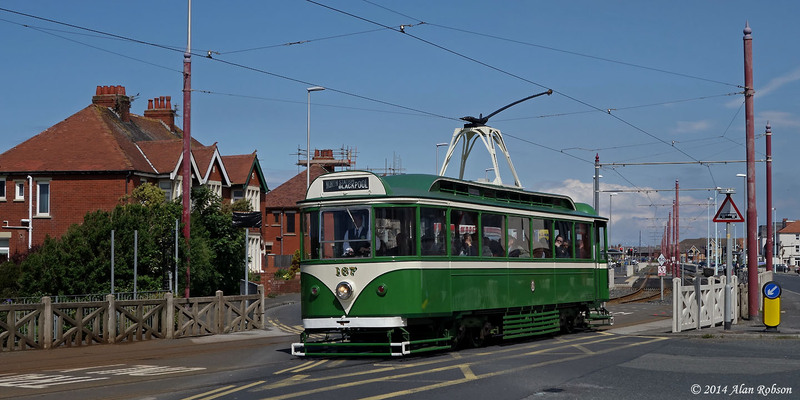 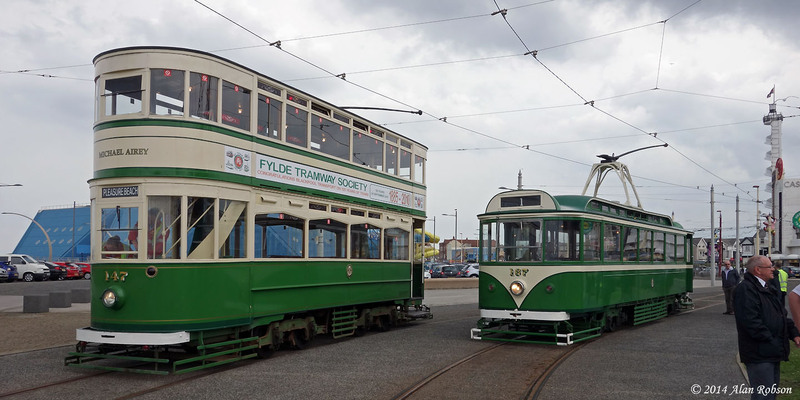 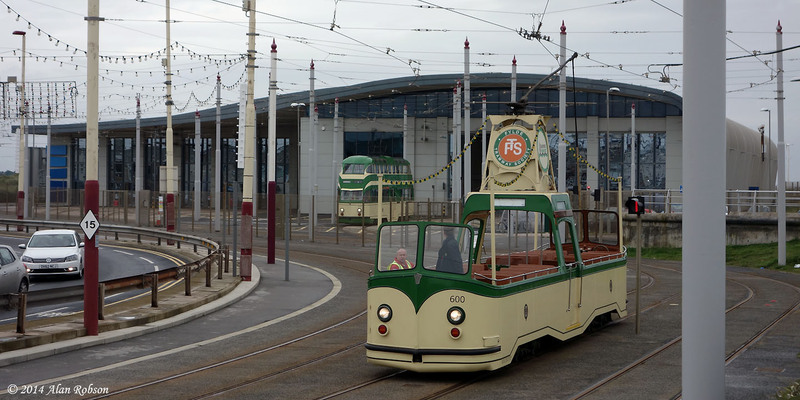 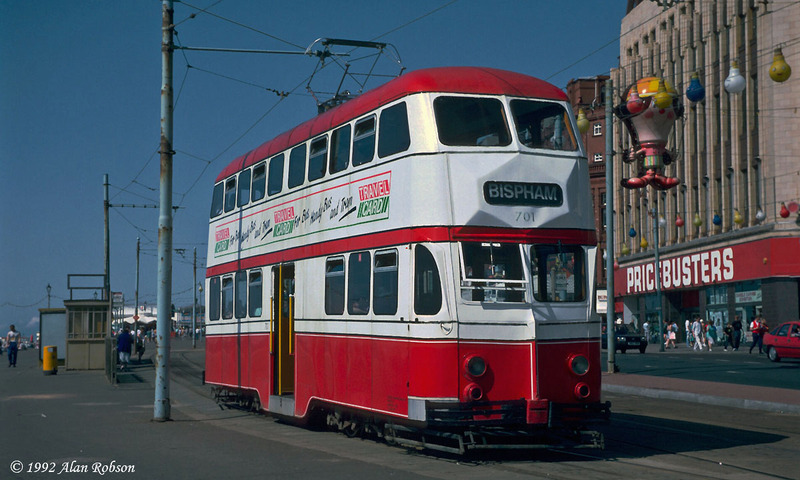 The morning tour to Fleetwood was operated by Standard 147 and Pantograph 167. 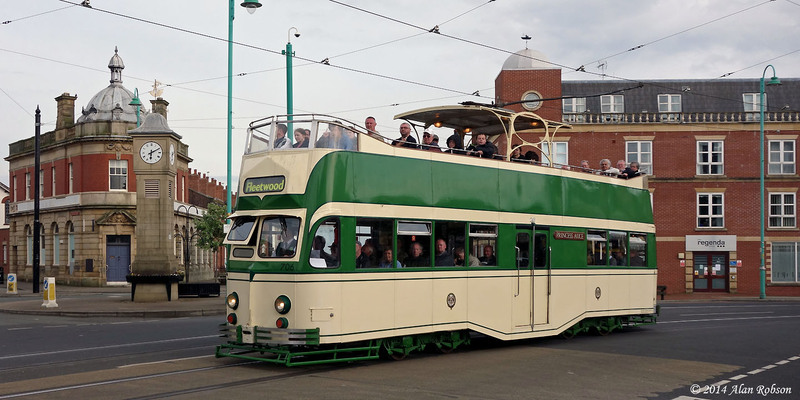 Open-top Balloon 706 Princess Alice was the third car to be rostered for Heritage Tour use. 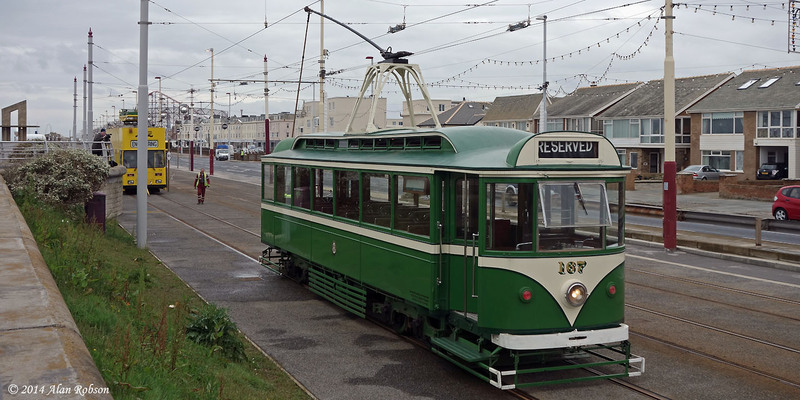 706 was replaced by 717 during the afternoon due to heavy rain. 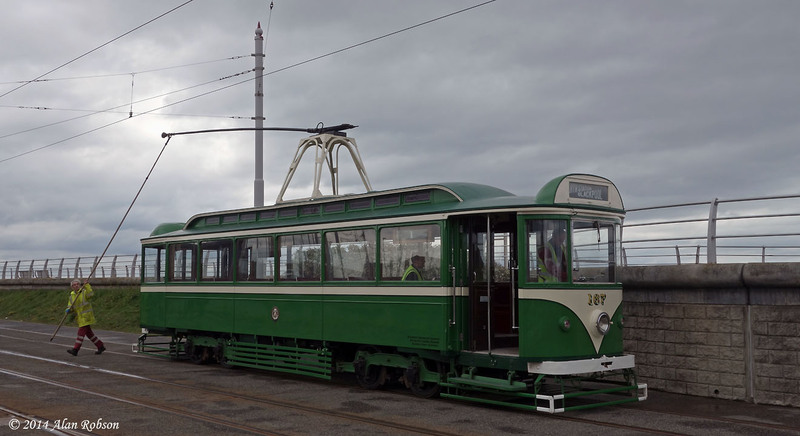 Pantograph Car 167 was moved from Rigby Road depot down to Starr Gate depot on Friday morning, ready to take part in the upcoming Heritage Tram Tours this weekend. 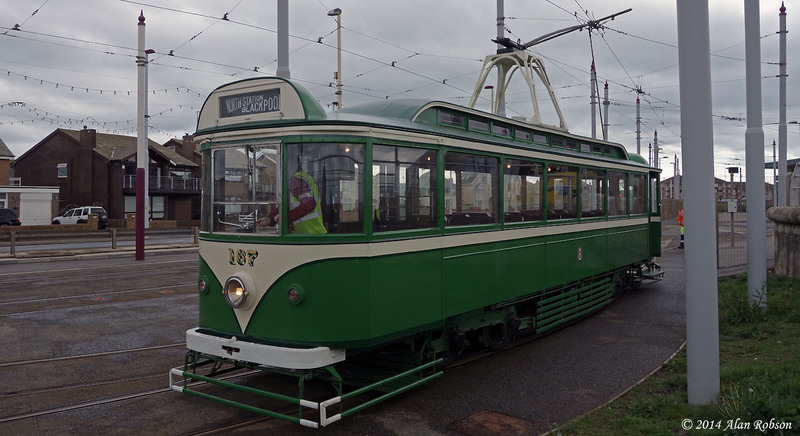 Preceding 167 on the journey down to Starr Gate was the Western Train which is also going to be in Heritage Tour use over the weekend.